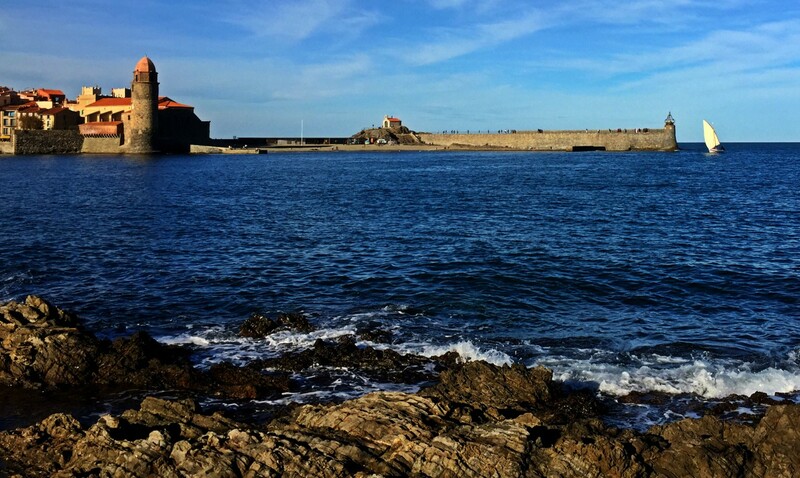 November afternoon in Collioure. South of France. A lone Catalan barque returns to its harbour in this little Catalan (French) village. today on the fragile Nile feluccas and the Maltese ferillas. ports, they were their lungs and heart.